MUSLIM community identity Keysar Trad is not dangerous, disgraceful or a racist who incites people to commit violence, the NSW Court of Appeal has ruled. 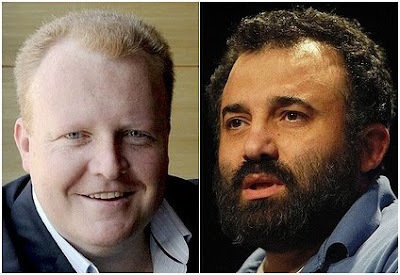 Mr Trad, the president of the Islamic Friendship Association of Australia, has been cleared of those defamatory labels thrown at him by 2GB's Jason Morrison and backed by Supreme Court Justice Peter McClellan. Last week the Court of Appeal ruled there was no evidence to support them. The court found that Justice McClellan had erred in his findings on a number of points in relation to those defamatory statements and has ordered a retrial to assess damages regarding Mr Trad's reputation. However, the court allowed, in part, a rare defence known as "reply to attack", on some points relating to the counts. Mr Trad is considering appealing in the High Court. The chief operating officer of 2GB, Stuart Thomas, said the court found that 2GB was only defending itself and allowed the reply-to-attack defence in five out of eight points. The radio station was considering whether it would also appeal the remaining three points to the High Court, he said. The case stemmed from the aftermath of the Cronulla race riots in late 2005 when Mr Trad spoke at a peace rally at Town Hall and criticised the role of the media, in particular "tabloid journalism and one talkback radio station". Mr Trad's said the station was "whipping up fears" and Muslims were "suffering as a result of the racist actions of predominantly one radio station". Mr Trad called on the Howard government to stop "ethnic scapegoating". He said: "There is a great deal of shame in tabloid journalism and one talkback station, seems to be nothing . . . other than the mouthpiece of the Howard government over the last few years". A 2GB reporter was at the rally and Mr Trad's comments were broadcast. Mr Morrison, who has since switched stations to Fairfax Media's 2UE, launched a scathing attack on Mr Trad on radio the next day. He said Mr Trad was a "disgraceful and dangerous individual who incited violence, hatred and racism". Mr Trad sued the station for defamation and in 2007 a jury agreed that Mr Trad had been defamed by Mr Morrison. However, at a subsequent hearing Justice McClellan ruled against him and gave a judgment that criticised Mr Trad's role over the years as a spokesman for the Lebanese Muslim community. Judge McClellan found that most of Mr Morrison's statements about Mr Trad were true. The three Court of Appeal judges set aside the orders by Judge McClellan and sent the matter back to the court to assess damages. Harbour Radio, owners of 2GB, were ordered to pay half of Mr Trad's appeal costs.